Taycor Financial, one of the nation’s leaders in equipment leasing and financing, announced today it has hired Quincy Felipe to the position of Lease Administrator/Transaction Coordinator. 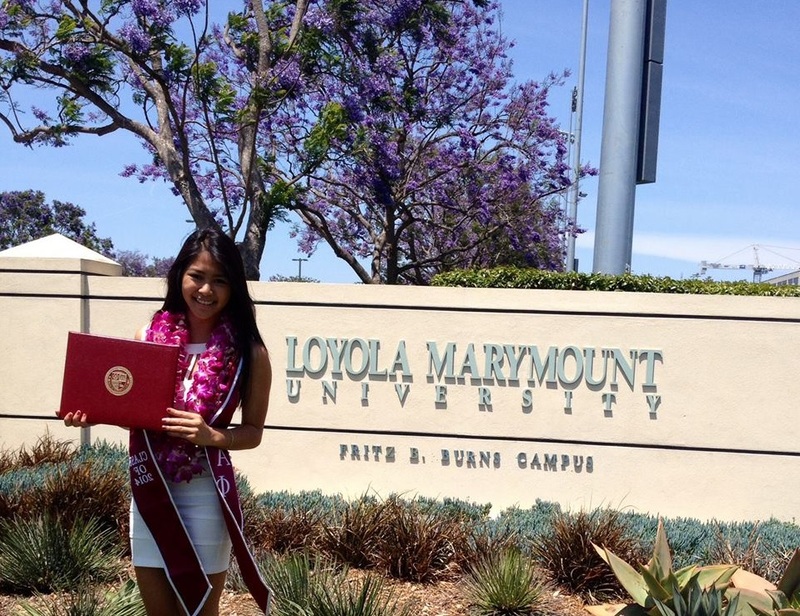 Ms. Felipe recently graduated this May from Loyola Marymount University with a Bachelor of Business Administration degree in Finance. She started working as a Marketing Intern at Taycor Financial in November 2011 and has since then moved both upward and horizontally throughout the company’s departments. Over the years she found a home within the company and is now in a position where she can effectively utilize her skills and strive even further. As each year passes, new graduates face greater challenges in starting a career and finding a full-time position straight out of college. With so many industries to choose from, most graduated students find themselves at a crossroad, unsure of which direction to go in next. Among these industries is equipment leasing and financing, which is very small in comparison to others and is often overlooked during the selection process of new careers. In a recent interview, Ms. Felipe describes her personal experience in deciding her next step in her career and how she found herself in such a small and specified industry. Although working in the equipment leasing and financing industry may not have been her dream when she was five years old, she is pleased to begin working full-time for a company that is she is already comfortable with and that supports her future growth and success. Ms. Felipe applied for an internship position at Taycor Financial in November 2011 through her university’s online job posting website. She worked as an intern in its marketing department until the following summer. In June 2012, she was given the opportunity to switch departments and assumed the responsibilities of a Junior Credit Operations/Analyst position. She continued in this position until her recent promotion to Lease Administrator/Transaction Coordinator. In the new position, Ms. Felipe works in the Credit and Funding Department where her responsibilities include processing applications, analyzing personal and business credit reports, bank statements, and tax returns prior to bank submissions, creating lease and finance agreement packages, communicating with lenders, customers, and vendors regarding transactions due for final funding, and other various administrative work. She started working full-time immediately after graduation and the Taycor Team is very pleased to have her on board. At Taycor Financial, company growth and employee growth are synonymous and it strives in creating the best opportunities and experiences possible. “We have deep ties to helping grow the next generation of equipment leasing professionals both in the account executive vertical as well as operations,” said Founder and President, Robert Skibinski. Over the past couple of years, Taycor Financial has made valiant efforts in changing some habits, as it is a 20-year-old company. The company began its renovation by introducing new methods, changing various operational procedures, and utilizing new technology to make certain tasks easier than the old-fashioned manual way. When Ms. Felipe first joined the Taycor Team, the company was just beginning to take on its shift. By the time of her arrival, she was able to witness these changes and be involved in the growing process. Now that the company has updated its operating procedures to a greater level of ability and efficiency, it is ready to take the next step in growth and success by expanding its professional base. Ms. Felipe is one of a few new hires at Taycor Financial. As she begins her full-time employment working in credit operations, two new account executives have also recently joined the team, and the company plans to bring in a few more in the upcoming months. Taycor Financial was founded by Robert Skibinski in 1997 and has since then grown into one of the nation’s leading companies in the equipment leasing and financing industry. The company serves a wide variety of small and medium-sized businesses across the country. Over the years, Taycor Financial has refined its process, programs, and services to reach the ultimate goal of exceptional customer satisfaction. For more information about equipment leasing and financing, visit http://www.taycor.com.